Inspiring Women, is a small series of works started in 2017 that commemorates women educators in history. It is an attempt to give them continued discourse in a contemporary setting, honoring their trailblazing efforts. 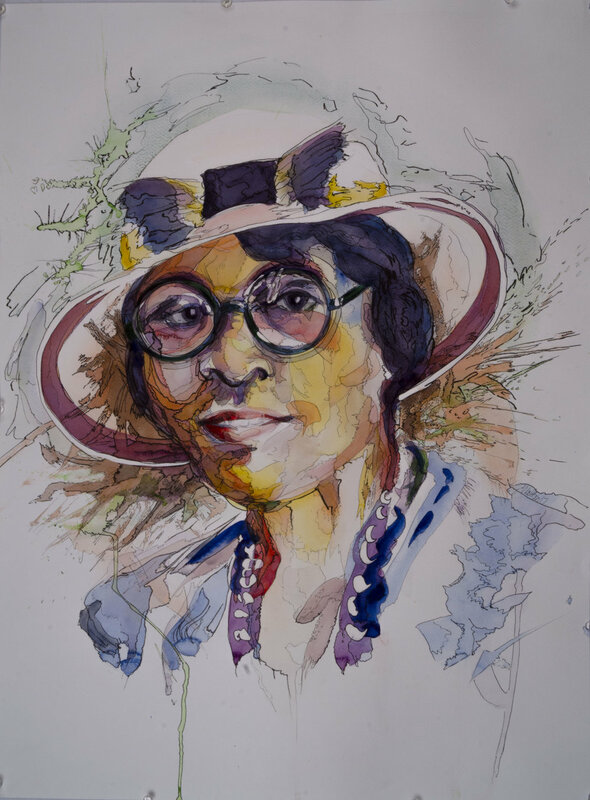 The first three are Charlotte Hawkins Brown, founder of an African American Prep school in 1902, Helen Keller who, overcoming the tremendous odds of her disabilities, helped found the ACLU, and Clara Barton, founder of the Red Cross. It is important to focus on their astounding achievements in times of great obstacles and how their legacies still reach us today.